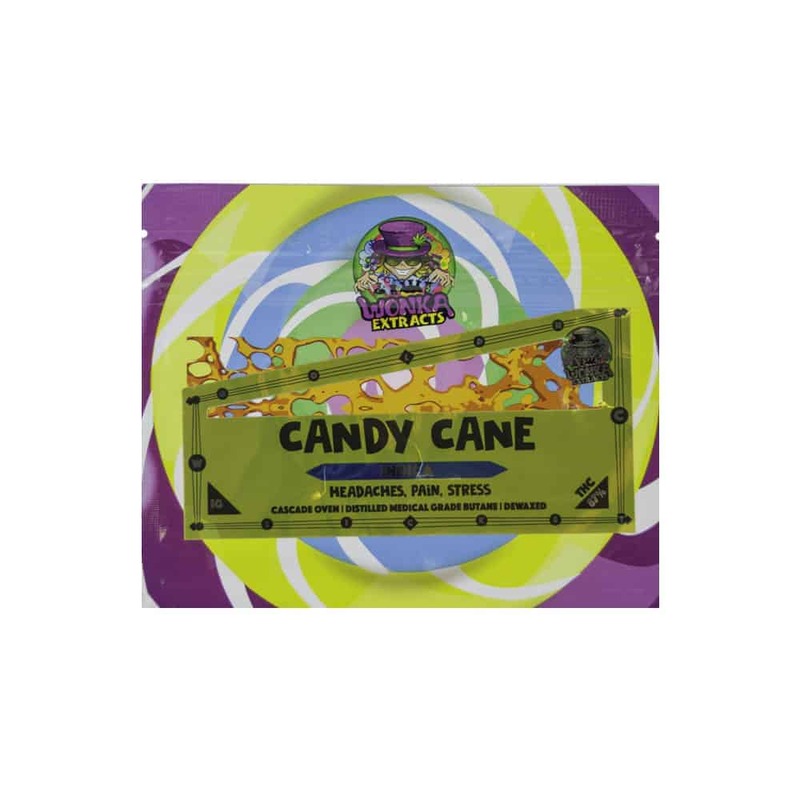 8 reviews for "Wonka Extracts – Candy Cane – Indica Shatter"
For 87% it’s really smooth. Taste is different. Burns nice and shatter is solid and breaks like it was purged right. Love that this brand says dewaxed and THC percent is on the out side of the package. the best shatter hands down!!! Great shatter! The quality was great, taste was good and the high was really nice and relaxing. I appreciate that they put the THC percentage right on the package, wish more producers would do that! I have used this for both smoking and creating edibles. Works great for my lupus pain & depression/anxiety. Wonka brand shatters are absolutely on point. Thc on the package, great taste, smooth to smoke, number one in my books. If you like banana candy try the candycane also very good. I don’t know why I waited so long to try this brand, loved this flavour! Nicely formed, really smooth flavour and a great high!